We are moving. As a military brat I heard those words at least once a year. I knew what it meant-packing up my special things to fit into one box, preparing to say goodbye to my friends, and getting ready to do a marathon cleaning session. In those days a white glove inspection applied to military housing too! But there was also a sense of expectancy. What new friends would I meet? What new activities would I become involved in? Maybe this time I will finally get my own room…in a family of seven children that was usually an impossible dream! The military lifestyle is a series of coming and going on the where the Army (fill in the blank) needs the service member the most. 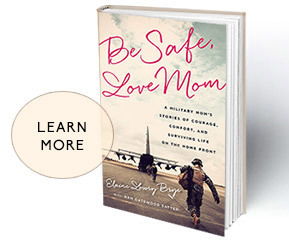 Of course the ultimate dream for every military mom is that their loved one is stationed close by. Those of you who have that luxury-I AM SO JEALOUS! it is one of the biggest sacrifices we make to be so far from our kids and grandkids so much of the time. I know a lot of civilian moms deal with distance issues too, but ours are intensified because of those times when they are deployed and we could not visit even if we wanted to. 29 years ago this month we moved to our “White Farm” here in Ohio. My husband and I had planned to live in the west, but times were tough in the airline industry and after being laid off by United we ended up in Pittsburgh. We decided to make a life here on the farm raising kids and cattle. It was a great place to watch them grow, to teach them about hard work and service. One by one they flew from the nest and over the years between deployments and duties it has been harder and harder for them to make it home. These walls are filled with memories. But those memories also can be melancholy. This house is meant to be filled with small children. The farm should have chickens in the yard and a pony in the pasture. So we decided it was time to make a change. Years ago when we were first engaged our dream was a ranch in Montana-not a farm in Ohio. My husband’s grandfather had moved to Montana when he retired. My dad, an avid fly fisherman, would follow the hatch every summer camping on the Madison River. We would bring the kids every summer and meet them and spend a month there. I felt like I was home. We decided this fall it was time to make a change before we got too old to carry boxes. We listed the farm and I have spent months going through 29 years of accumulation. It has been a roller coaster of emotions especially when I hit those boxes of artwork, trophies, and notes from them. A favorite is a message scrawled in a five year old handwriting: ” I am the only one who has to work on Saturday”. Ah yes, you were I am sure! And now for the rest of the story-the sadness of leaving is now overwhelmed with the promise of the next big thing. 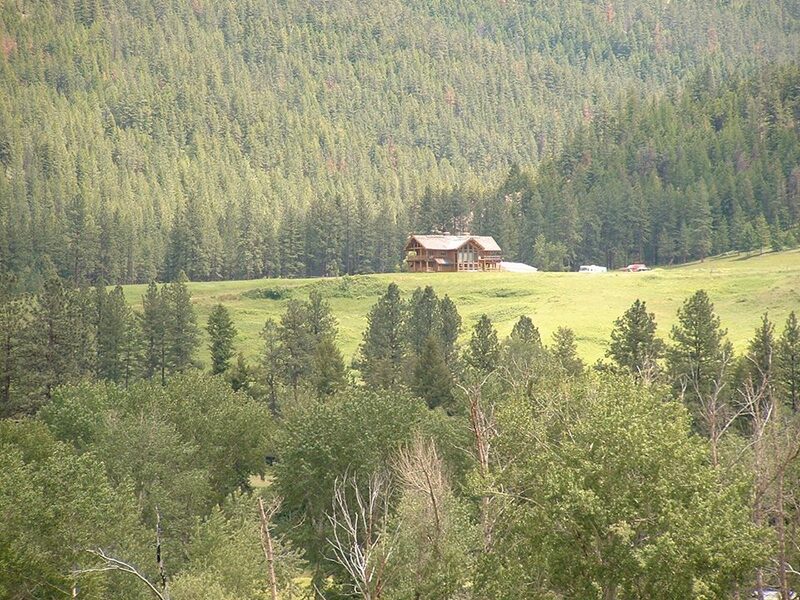 We have found our dream place-The Rubicon Ranch near Missoula, Montana. We are packing up and heading out next month. And the very best part of the story….I have dreamed for a long time-even before I wrote Be Safe, Love Mom- of hosting retreats. I am happy to report that our new place is perfect to have mommas come and share, refresh, and connect. As soon as I get my wits about me with the move I will start the event planning. I AM SO EXCITED!! Oh and did I mention our daughter and son in law have a summer cabin an hour away and hope to end up in the same area post military service? It is a dream come true. Yes I am moving again-but on to a new adventure that I hope some of you can share in. Join me on the porch to watch the elk, and face your fears on a white water trip through the Alberton Gorge. We need to build each other up so we can stay brave and strong. So very happy for you and Courtney. I will be following your new adventure and praying that your hopes and dreams are fulfilled! Fair winds and following seas! Glad dreams for adventure are coming true ! So very happy for you and the family. !!! You deserve to have a dream come true and it sounds heavenly. You’re a role model for all of us MOMMAS who think we can’t survive the sadness of one kid being deployed much less all of them spread everywhere. Can’t wait to follow your adventures !! Would so love a weekend retreat and meet Moma’s, your on to something big!!! I am so happy for you! Congratulations on your new adventure! Cannot thank you enough for the great advice you provided when I needed it. Maybe I will one day benefit from participating in one of your retreats! Best wishes to you on your new adventure! Best wishes on this new & exciting adventure. Safe travels. I would LOVE to visit your “retreat” site one day. As always, you are a true inspiration. Peace always be with you! We are so happy for you and Courtney. A dream come true. Stay safe, be happy. PS. Will left active duty last Friday. In the reserves and grad school at Boston College. Wife Jess staying in and at MIT doing naval architecture. We are still a Navy family. You are just closer to me! We, hubby and myself, WILL be visiting! Enjoy the journey. If I could help with your new adventure just contact me. (I am in Wyoming)May God watch over your and your family.